Posted on 03/18/2018, 9:01 PM, by Black Cat, under Spontaneous Prose. I’ve joked several times on the show that we didn’t have a Patreon because for whatever reason it seemed silly in the past but here I am writing the introduction to the Old School Wrestling Podcast Patreon page. In talking with an old friend, he convinced me that some people just like to contribute this way to things they enjoyed. It made sense, so I figured I’d make this another option to the listeners of the Old School Wrestling Podcast who wanted to contribute to our show. Please visit our Patreon page here if you’d like to pledge to the show…. Posted on 04/03/2019, 12:42 PM, by Black Cat, under Old School Wrestling Podcast. 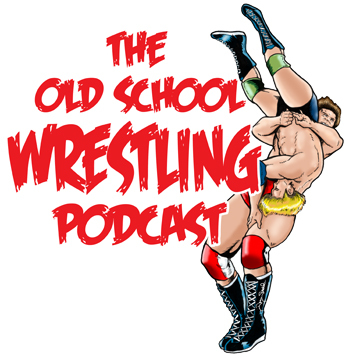 This week on the Old School Wrestling Podcast, Dre and the Black Cat review WrestleMania 12, the classic 60 minute Ironman match between Shawn Michaels and Bret Hart, revisit the backlot brawl between Rowdy Piper and Goldust, and talk about 1995/1996 WWF as it was beginning to grow into the Attitude Era. Please support the OSWP Patreon where you can get exclusive OSWP content. Thanks for listening and we’ll see you…at the matches! Posted on 03/19/2019, 12:16 AM, by Black Cat, under Old School Wrestling Podcast. Posted on 03/04/2019, 4:47 PM, by Black Cat, under Old School Wrestling Podcast. Posted on 02/12/2019, 3:29 PM, by Black Cat, under Old School Wrestling Podcast.